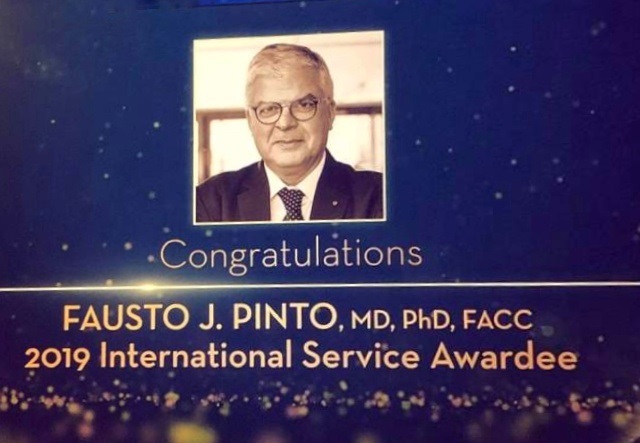 Professor Fausto J. Pinto was distinguished on March 18th with the International Service Award 2019 by the American College of Cardiology (ACC), to recognise his professional contributions to cardiovascular medicine. This public recognition occurred during the ACC meeting at the 68th Annual Scientific Session in New Orleans, USA. During the session, Michael Valentine, President of the ACC, said that “At the ACC we’ve never been so proud of being a truly global organisation, which is currently working to reduce the impact of cardiovascular disease worldwide. 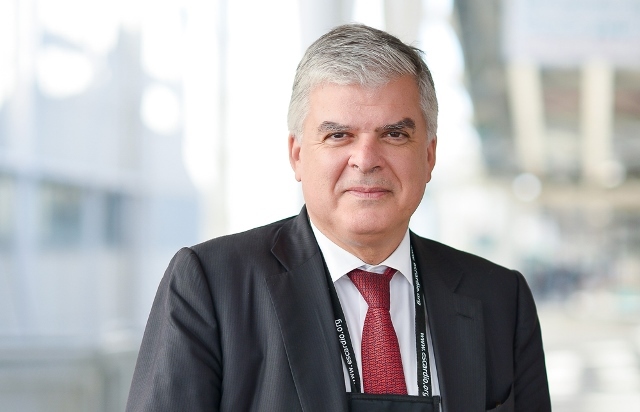 We are proud to say that this year’s International Award goes to Dr. Fausto J. Pinto ”. 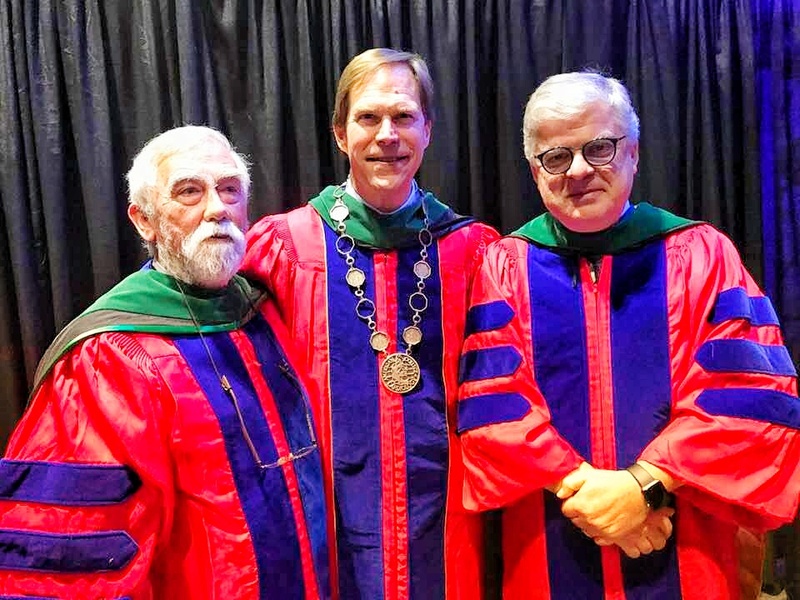 The International Service Award is presented every year to a member of the American College of Cardiology (ACC) who, thanks to extraordinary contributions to cardiovascular medicine, has significantly improved cardiovascular assistance around the world. 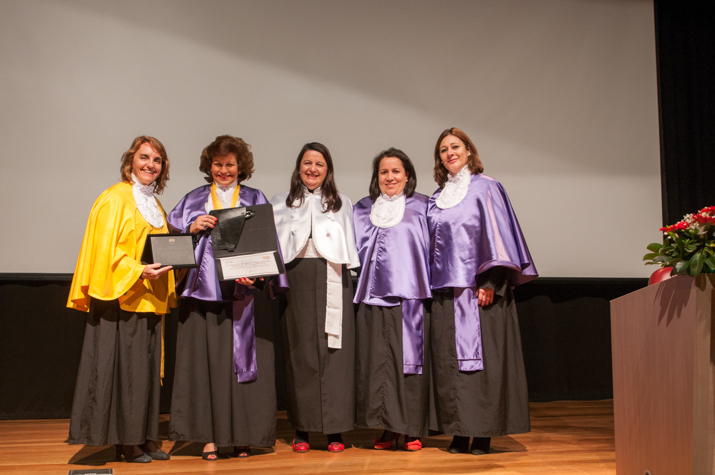 It is the first time a Portuguese is awarded this prize. 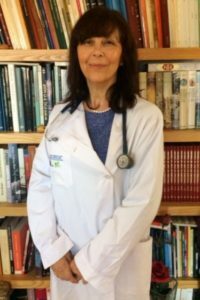 The work developed by the American College of Cardiology promotes a world where innovation and knowledge can optimise cardiovascular care and its results. As the professional “home” of the entire community that provides cardiovascular care, the mission of the ACC, as well as of its more than 52,000 members, is to transform cardiovascular care and improve heart health. 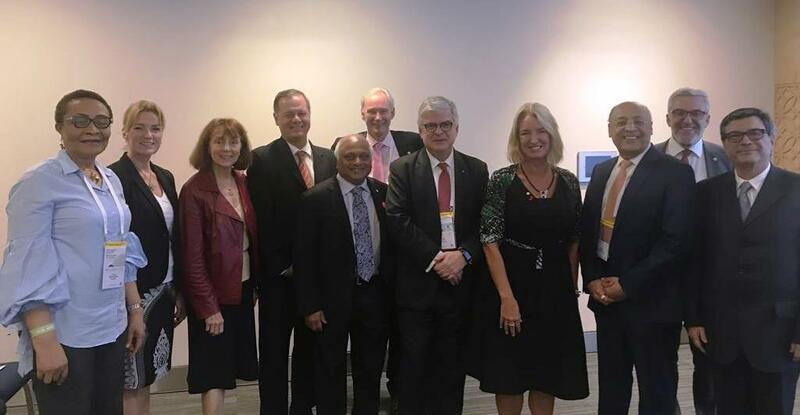 The ACC confers credentials to cardiovascular professionals who reach the highest and most stringent qualifications and leads the development of health policies, standards and guidelines . The College also promotes excellent professional medical education, disseminates cardiovascular research in their JACC journals, prepares national registers to quantify and improve assistance, and it also confers accreditation to hospitals and institutions. 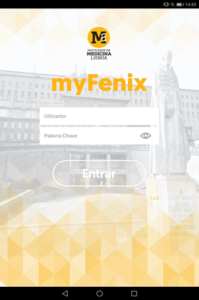 It’s called myFenix and it is a smartphone, version now available for Android e iOS (iPhone).. 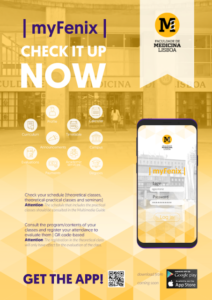 The app is a pioneering initiative within the University of Lisbon and although it is still in the experimental phase it has been implemented since September 2018 among MIM first-year students. 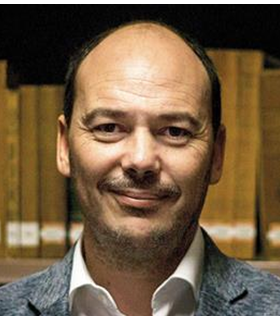 It is the brainchild of Joaquim Ferreira, President of the Pedagogical Council and Faculty Member. 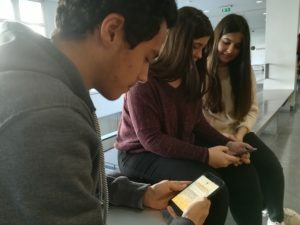 The app was developed by qubIT and implemented with strong support from FMUL’s administrative team..
With a wide range of possible future applications, the goal now is to fulfil three major purposes: Disseminating the academic schedule, managing student attendance and assessing classes at the end of each curricular activity. We spoke to two big players in this project, its creator and someone who will use the app on a daily basis. And although their points of view are not always aligned, they are already, to a large extent, complementary. But let us begin by seeing exactly what changes in students’ academic life. 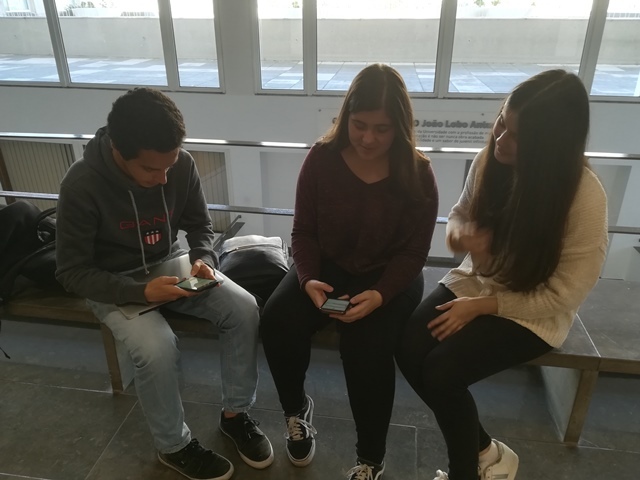 Through a smartphone the entire school schedule becomes available at any time, thus, allowing students to know which classes are planned each week, as well as the physical space where they will be taking place. 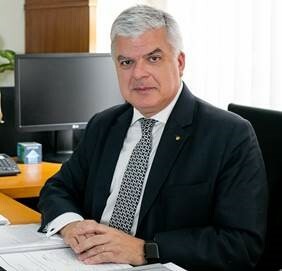 Professor Joaquim Ferreira stressed the importance of this point: “My vision is that any member of our academic community knows, at each moment, what is happening in the School. With this knowledge, students, or other teachers, can attend any class, if the teacher in charge permits it. What we intend with this is to share knowledge, by offering an open-doors, free-access experience. It is an open space for the academic schedule that is now shared with everyone”. We heard Carolina Pureza, Henrique Freitas and Mariana Andrade, all 1st-year students and, regarding the attendance sheet, not everything is as functional as they would like. Carolina Pureza: It is necessary that the tablet reaches all of us, which does not always happen in theoretical classes, because we are paying attention to the class and sometimes don’t even realize it. Even when the tablet reaches us, that is distracting, as we have to take out our phone and scan the QR code and we lose focus. But I still prefer this digital feature over the paper attendance sheet. 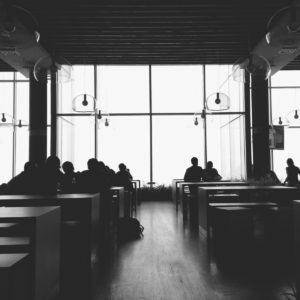 Henrique Freitas: In theoretical classes, the attendance register is not very efficient, because, as people are paying attention, sometimes, they pass on the tablet without registering their presence. Perhaps it would be more efficient if each person who entered the room scanned the QR code. Mariana Andrade: In the beginning, the APP was not available for all types of phones and so, not everyone signed in using their code. Because of that, what happens now is that some people have not yet gotten used to the new system. There is still another matter, the APP takes up a lot of space on the phone and many of us no longer have space, so we have to keep installing and uninstalling it. 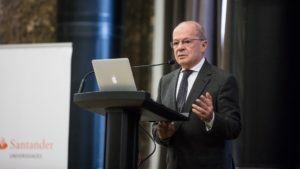 Joaquim Ferreira explains that because it is still an experimental period, it is expected that some adjustments will be necessary. Although it will be mandatory, the way the tablet reaches the students and at what moment of the class this happens, will depend on the Teacher. Soon after the evaluation, the overall processing is simple and also immediate. 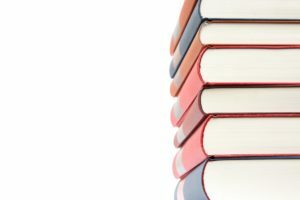 “Professors have immediate access to the evaluation of their class and the Regent of the curricular unit also accesses this information and can intervene in a constructive way using this information. For now, access to this information is confined to the Teacher and the Regent. However, in the future, it may be used in a more open way, as the Faculty deems appropriate. This is in line with a fair assessment of all teaching activities, as it is my conviction that this is the most efficient way for all of us to improve, through individual confrontation, ideally with an increasing degree of exigency”. We want to see many evaluations in green and few yellows and reds!”. Regarding this evaluation method, students’ opinions seems consensual. Henrique Freitas: It’s a good idea and we like being able to give our opinion. Carolina Pureza: This way of evaluating is more appealing than a sheet of paper and it is very important to us. The new APP was released in the first week of classes. Initially, the app was only available for Android, but it is already currently operational also for iOS (Apple). And although this is an experimental period, next year, we will extend it to 2nd-year students and repeat the experience with 1st-year students. 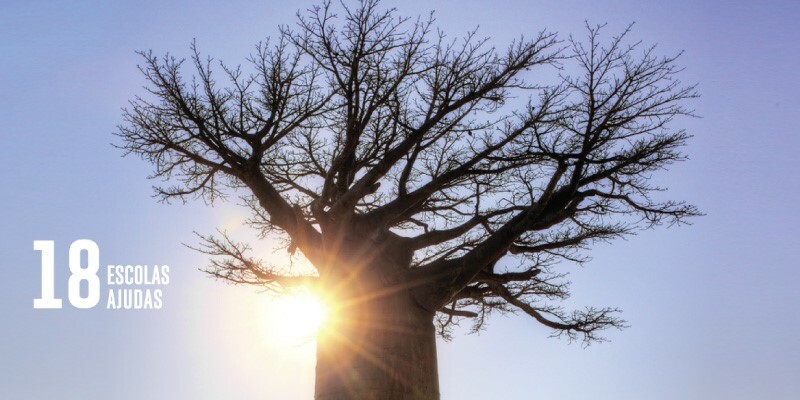 “Only after we feel comfortable that the system is robust and solid, can we take a more ambitious step, but it will depend on the degree of success measured the end of this year,” explains Professor Joaquim Ferreira. 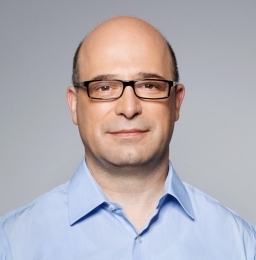 Known for being a driver of change, Joaquim Ferreira knows that, until everything is integrated into the daily routine, there are always doubts and constraints. Yet, he congratulates both Teachers and students for the way they have received this new system. 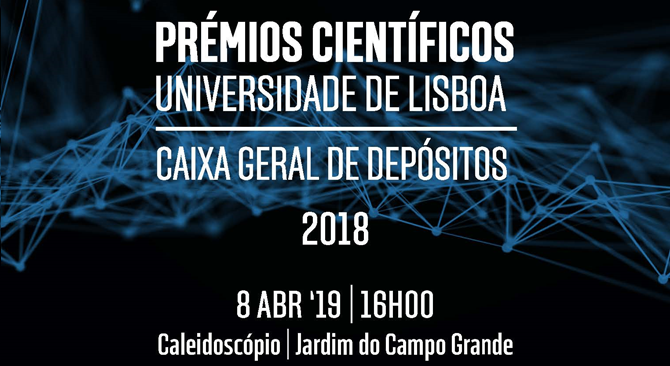 The results of the 2018 University of Lisbon/Caixa Geral de Depósitos Scientific Award have been revealed and some of our Professors have been distinguished. The awards ceremony will take place at the Kaleidoscope building of the University of Lisbon on April 8 at 4:00 p.m. 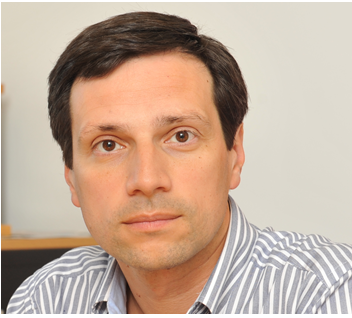 In the area of Biomedical Sciences, the award goes to Miguel Castanho, Professor at the Institute of Biochemistry of the FMUL, Group Leader at the iMM and member of the News@FMUL Editorial Board. 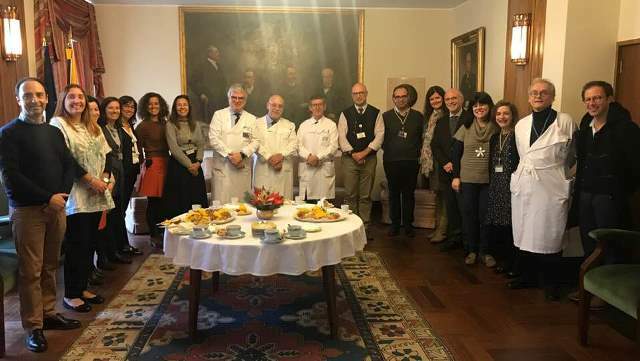 “The ULisboa/CGD Scientific Award recognises the importance of our work, especially in the field of infectious diseases and therapies aimed at the central nervous system at the molecular level. We are proud and honoured by the distinction given to us by the University and very pleased with the focus given to the FMUL and the IMM. In the area of health, the winners were Professors Luís Graça and João Guerra da Costa. 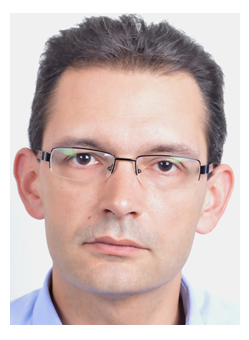 Luís Graça, Professor at the Laboratory of Basic Immunology of the FMUL and Group Leader at the iMM. 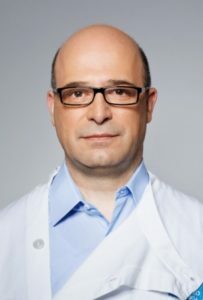 João Guerra da Costa, Professor at the Laboratory of Clinical Pharmacology and General Therapeutics. The 1st Council of Citizens was held last January 30 at the Direction of the FMUL. 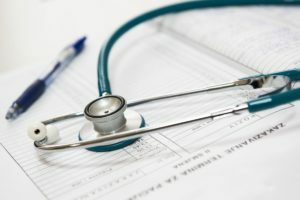 This Council, created in 2018, (Order 38/2018, 6 June), aims at strengthening the connection between the Faculty of Medicine and Civil Society, promoting a meeting of personalities from various professional, scientific and cultural areas to help reflect on the present and future challenges faced by our School. The session began with a Port Wine Tasting, welcoming the Director of the FMUL, Professor Fausto Pinto, the attending members of the Council of Citizens, Professor Francisco George, President of the Portuguese Red Cross, Professor Heitor Romana, Full Professor at the ISCSP-UL, and Mark Mekelburg, co-founder of Operation Red Nose. 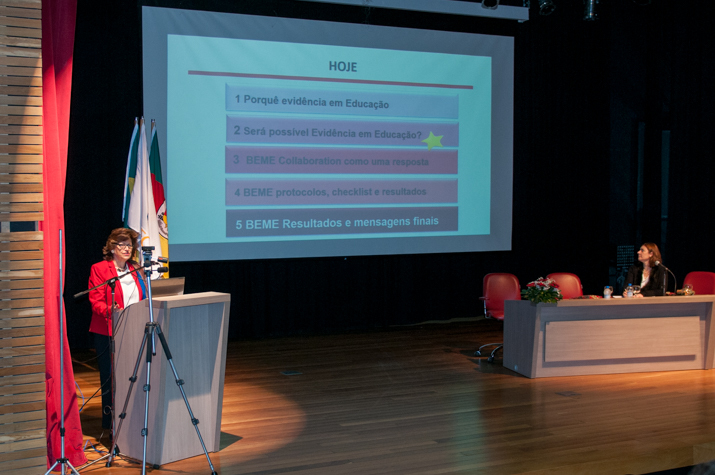 The session was also attended by the deputy directors Professor Ana Sebastião and Professor Mamede de Carvalho; the presidents of the Scientific and Pedagogical Councils, Professor José Melo Cristino and Professor Joaquim Ferreira, respectively; the Managing Director Luís Pereira; the coordinator of the Strategic Planning and Quality Office, Sónia Barroso; and the president of the AEFML, Andreia Daniel. The Director of the FMUL, Professor Fausto Pinto, began by introducing the FMUL, highlighting the Strategic Areas defined for the 2018-2022 mandate. This was followed by a debate and reflection, from which we highlight the interventions of the members of the Council of Citizens, who introduced themes and explored lines of strategic reflection that are extremely interesting for the pursuit of FMUL’s mission. 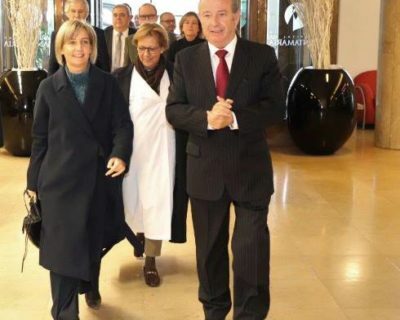 This was the first of several meetings, and at least two others are due to take place this year, so as to maintain a fruitful dialogue aimed at increasing and creating conditions for the development of a modern Medicine, adjusted to the challenges of the present and, especially, of the future, positioning the FMUL at the world-class level we all aim at achieving. Composed of 15 members, the school board meets occasionally to discuss some matters important in the Faculty’s agenda. The Body responsible for the election of the Director has a supervisory role, assessing the plan of action proposed for the upcoming year, as well as those that have been implemented and fulfilled this year. In November last, the Dean of the Faculty Fausto J. Pinto met with the School Board where he presented the Plan of Activities for 2019. 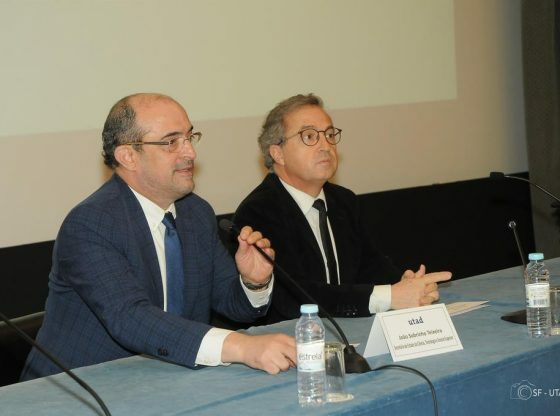 We talked to the dean Fausto J. Pinto and to the President of the School Board, José Ferro, to understand the main topics of the discussion and what resulted from this meeting. José Ferro: I highlight you the issues that in the past were an obstacle to the progress with the Faculty and that have improved in this year’s balance: the relationship with HSM and that now stand on a frankly positive term; the approval of the Decree-Laws of University Hospitals; the reform of clinical education on which we will shortly have news; the approval of the document on optional subjects and the discussion of the final project of the Master’s program. There are, however, several matters that remain an obstacle: the delay in the inauguration of the New Building (Reynaldo dos Santos); the maintenance of the latter numerus clausus; and the issue of the internationalization of the Faculty which remains blocked, because Medicine is the only group of schools for which there is no international student status. I believe this is a crucial matter for the long-term development of the School. Lastly, we have budget limitations, with the costs being predominately dominated by the payment of salaries, and the profit is highly dependent on the tuitions of the Integrated Master’s Program and thus, on their respective value. Although we have here some maters that we consider obstacles to the progress of FMUL, they are, in their vast majority, foreign to the Institution itself, and even to the University. As for the Plan of Activities proposed by the Director of FMUL, Prof. Fausto Pinto, the Board has assessed his performance very positively. In that sense, it voted favourably by unanimity the plan of Activities for 2019. Professor Fausto looking at the Plan of Activities for 2019 and now that it has been approved, which matters stand out to you? 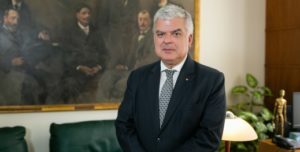 Fausto Pinto: The plans that we have for 2019 are aligned with the objectives of the University, but looking at the Faculty’s case, they can very well be condensed into four large areas: to ensure the Excellence in Education, the promotion and innovation in Scientific Research, the revitalization and Internationalization of our External Relations and finally, Administrative modernization. Regarding the Excellence in Education, we have several developments that are already implemented and that shall be continued in 2019. We will focus extensively on what the reform of clinical teaching will be, which shield be concluded in the beginning of next year and ready for implementation by 2020. 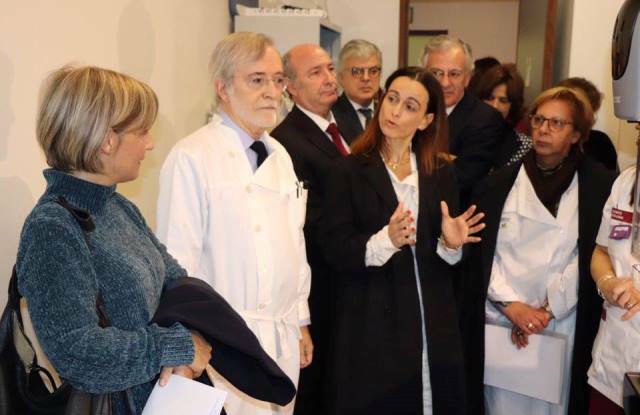 On the other hand, in what concerns post-graduate education, we have tried to diversify the offer to the maximum and, in that sense not only do we strengthen the expert courses, with masters and PHDs and with some new courses like Cardiovascular Rehabilitation and Biomedical Research, but we have also invested in the strengthening of Medical Education, an investment that started in the first mandate and that shall continue in the next years. We will develop new strategies and create new activities. With regards to the second large area, that of innovation and Scientific Research, we will continue with the promotion of programs like that of Education for science, the research scholarships, stimulus to GAPIC, as well as to foster the participation of the Faculty as a promoting entity for both national and international research projects. In the field of Internationalization and External Relations we will continue to sponsor and strengthen ties with other universities, both in the european zone and outside of it. 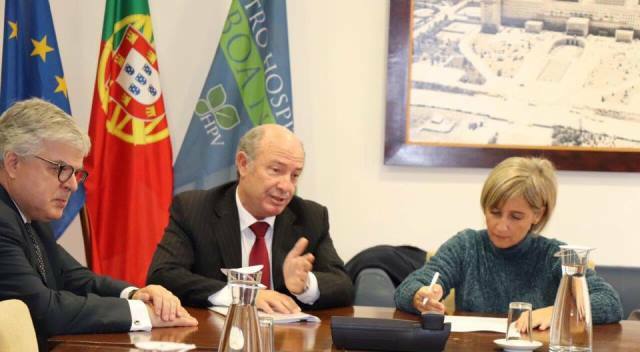 Continue to develop an organization of networks of Portuguese-speaking faculties and create a similar program to Erasmus directed to Portuguese-speaking countries. 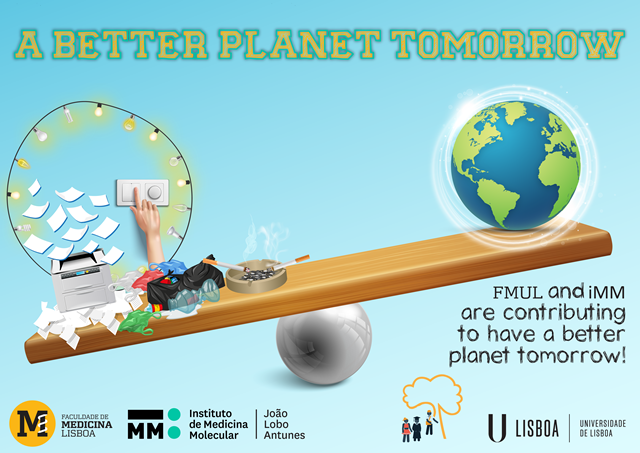 We will also continue the thematic networks that we are already part of with the University of Lisbon, but also include two new networks, the recent space network, and the promotion of a project that aims at the implementation of programs towards healthy lifestyles titled “Por uma Universidade Sustentável” (For s Sustainable University). We will implement the Citizen Council which aims to promote greater engagement of civil society with the Faculty. Finally, in the Administrative field we will continue to develop and integrate plans throughout the year. But there are several other important topics. 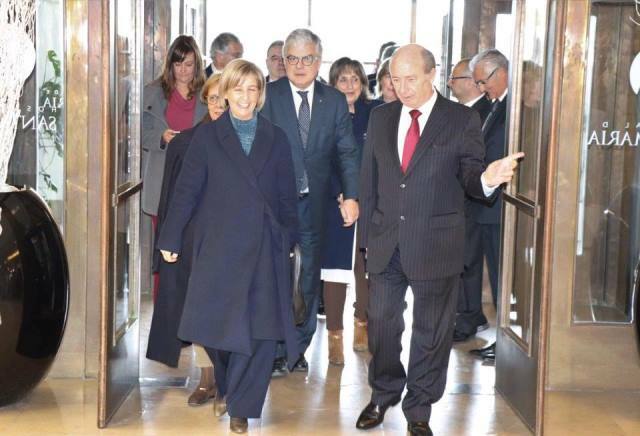 The opening of the new Building Reynaldo dos Santos. I hope to be able to inaugurate the Building in the 1st trimester of 2019 where several activities that fall into the key strategic guidelines of the Faculty shall take place. I speak about the pedagogical field, as well as the research and incubation fields, and also the creation of spaces that can provide stimulus to the incubators and start-up’s. We are also looking to inaugurate the Aula Magna (Great Hall) which should be ready in the beginning of the year and shall be a modern and rehabilitated space. We always aim to modernize our Faculty”. 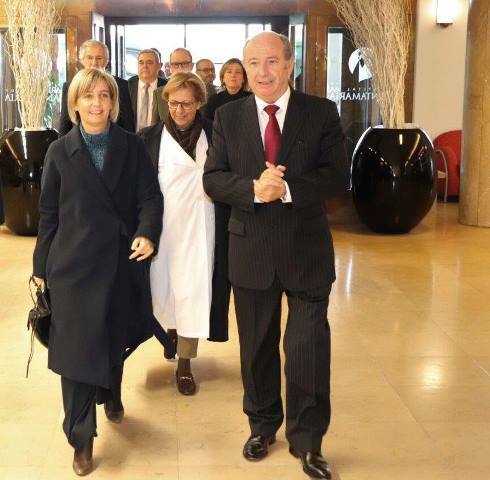 Fausto J. Pinto, Dean of the Faculty of Medicine, and Carlos Neves Martins, Chairman of the Board of Directors of the North Lisbon University Hospital Complex, have welcomed the health Minister, Marta Temido, to inaugurate three imaging equipments which are the first in the Iberian Peninsula. 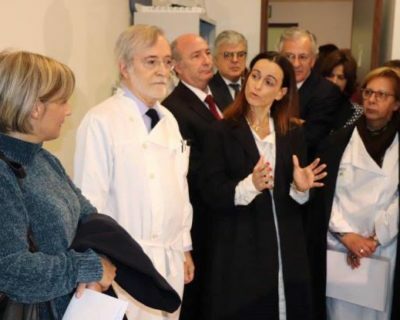 A three-million-euro-investment which resulted in the acquisition of a digital tomosynthesis mammography device, which is going to double the number of mammographies we can perform at Santa Maria”, and of two angiography devices that would “allow the improvement of our response in the treatment of strokes”, explains Carlos Neves Martins. 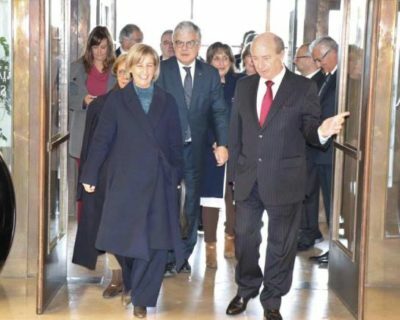 This reaction of both hosts allowed the strengthening of the “true spirit of the Academic and Medical Centre”, as well as the “strengthening of the Academic and Medical Centres as vital instruments to a modern Academic Medicine, at the same level of what is practised in the most advanced societies. 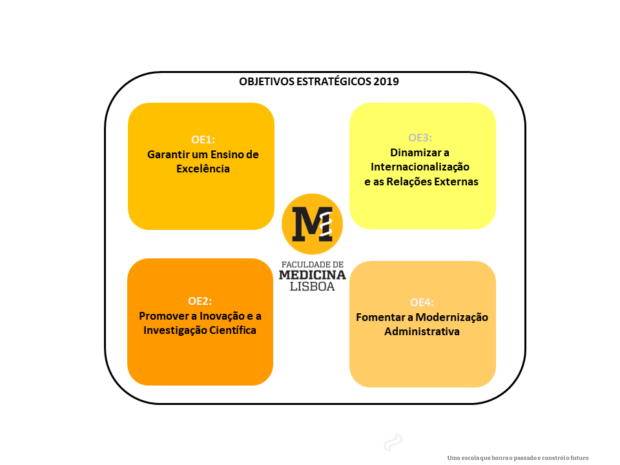 For the sake of the Portuguese Academic Medicine”, in the words of Fausto J. Pinto.